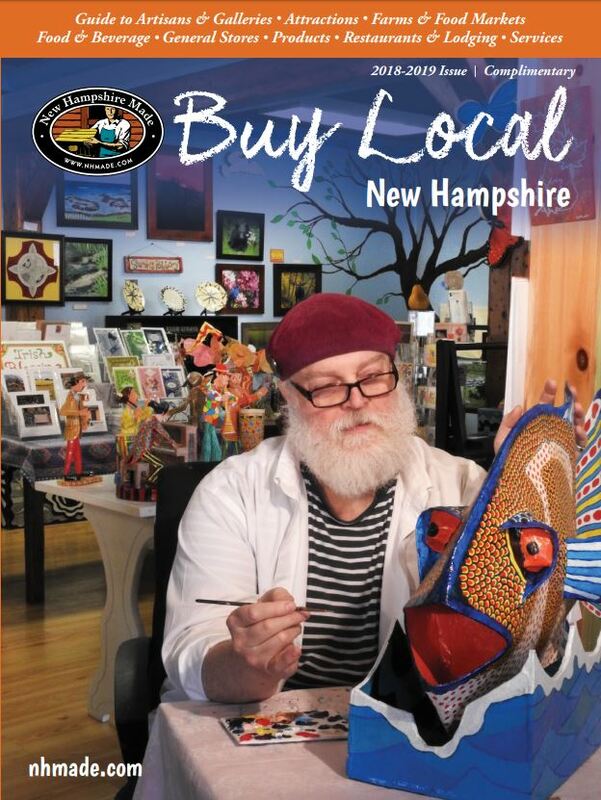 This 64-page guide, Buy Local New Hampshire, is an amazing resource for finding local New Hampshire small businesses from makers to service providers. Whether you’re planning a road trip, searching for the perfect gift, looking for a great meal or seeking out a printer for your own business, this magazine can help you discover one in your neighborhood. This guide contains regional maps so you can plan a short shopping trip or a multi-day adventure. It includes stories about talented entrepreneurs who have contributed in unique ways to their communities and photos from our 20th-anniversary celebration. These magazines are also available at state-operated welcome centers throughout New Hampshire, NH Made stores, community festivals, farmers’ markets and through many of our member businesses. To see the full list of NH Made members, explore our Member Directory. You can search for a specific product or type of business. Each member profile includes the contact information for each member and links to their websites. Many of them have online stores as well. You can also shop member products in New Hampshire Stores, located in Hampton, or the NH Made Online Store. 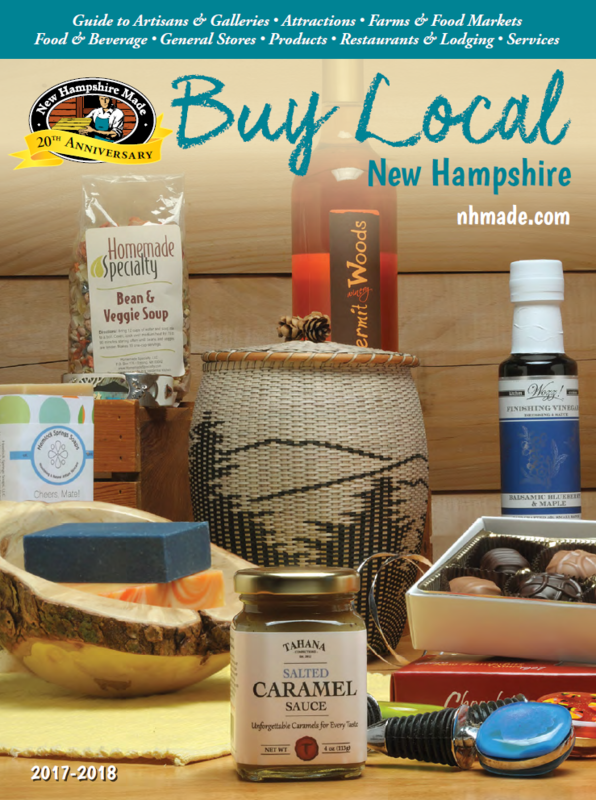 Our stores stock a selection of NH-themed items, specialty foods, maple syrup, cards, jewelry, health care products and more. We ship products anywhere in the US so if you have family members or friends missing New Hampshire we can send them a care package with a taste of the Granite State.